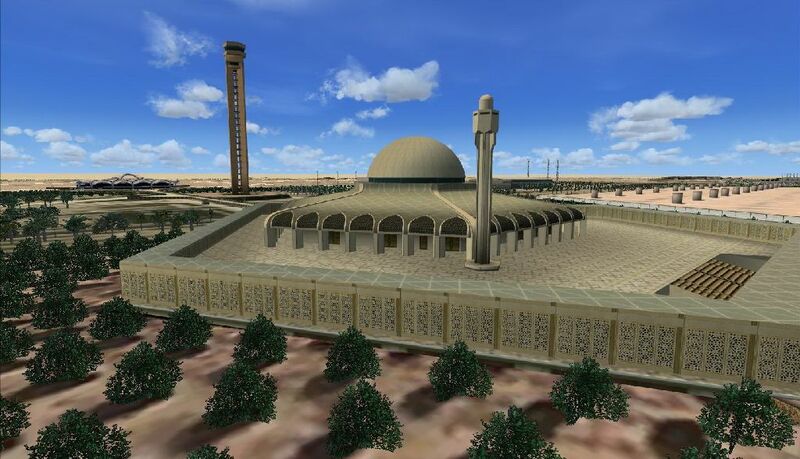 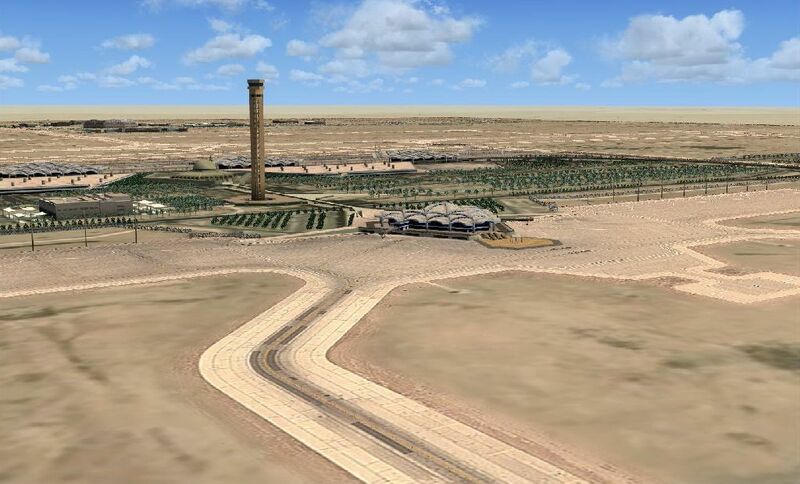 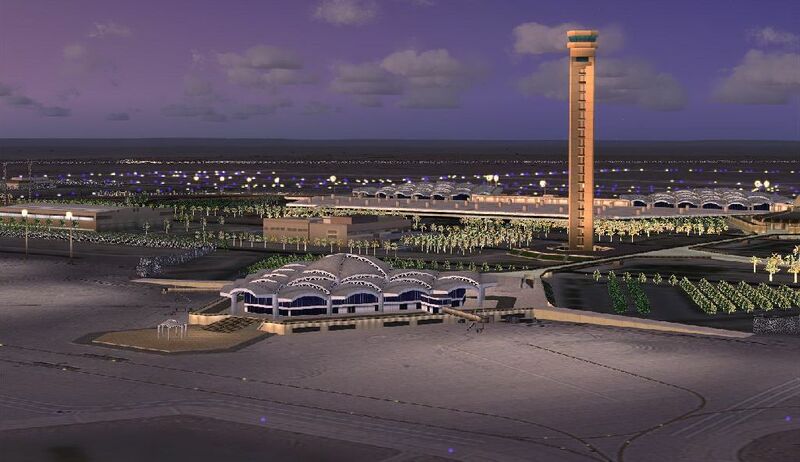 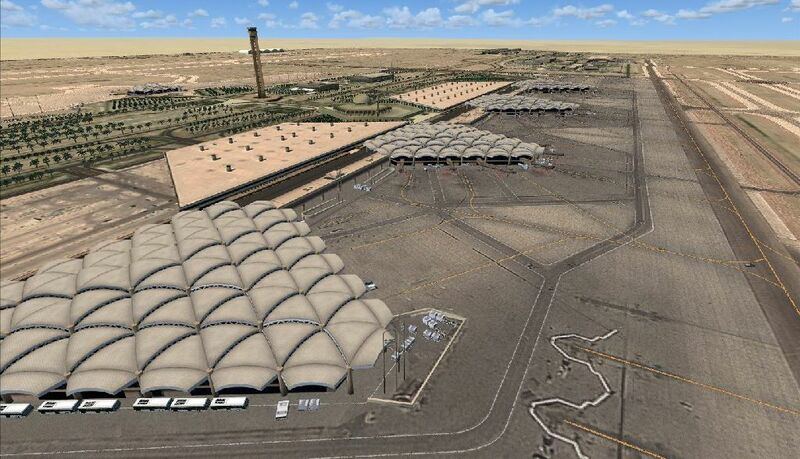 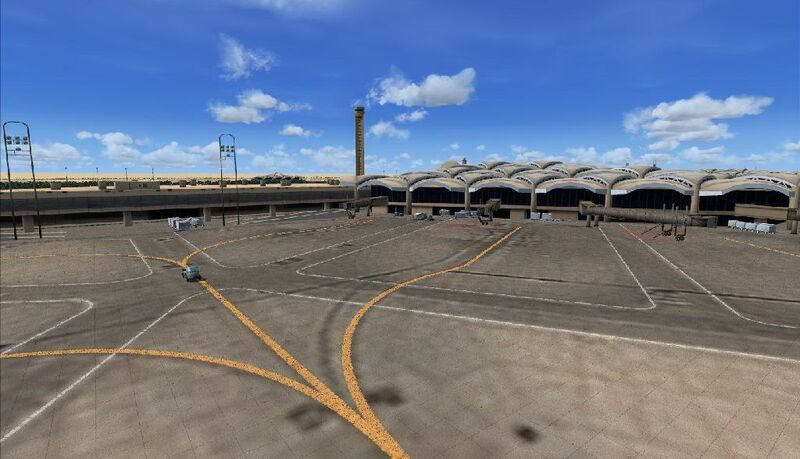 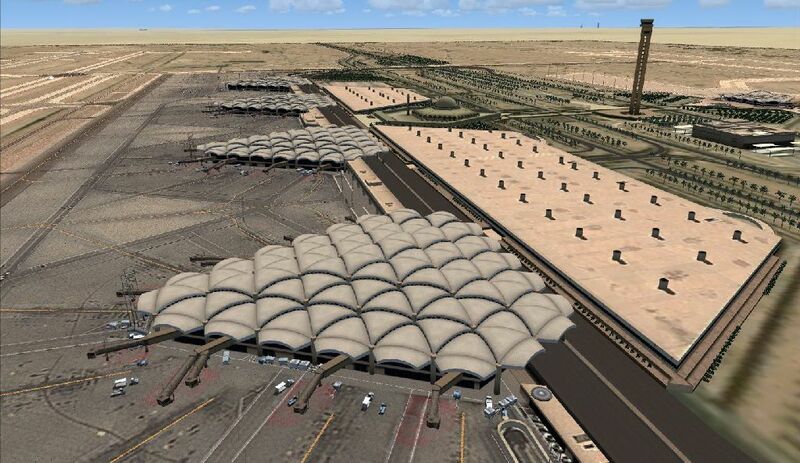 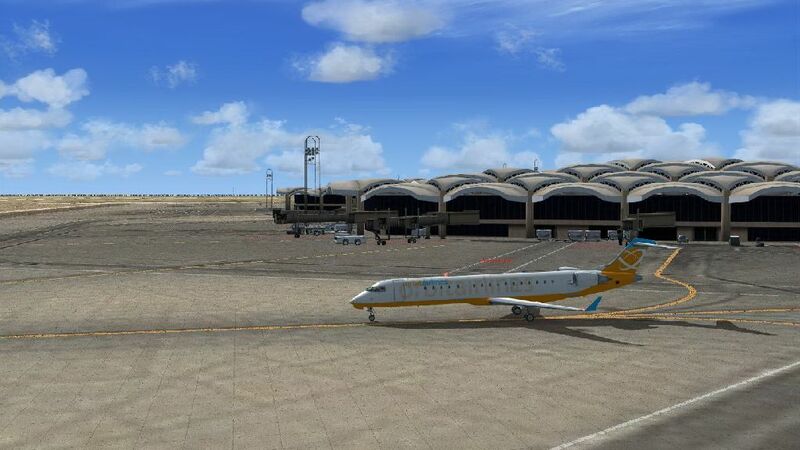 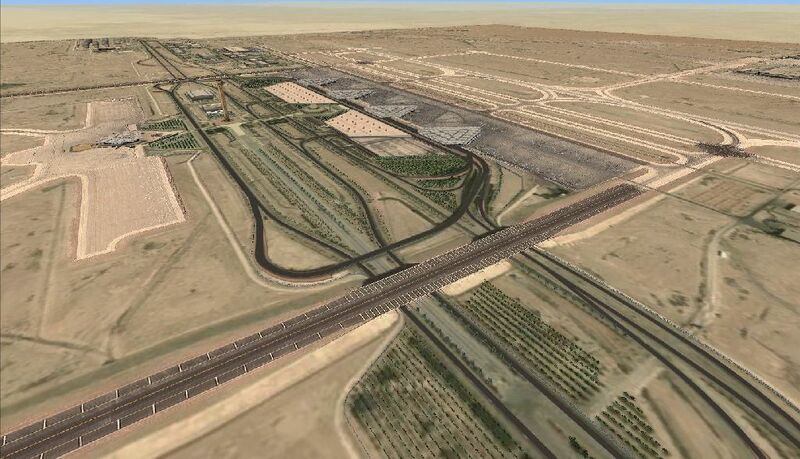 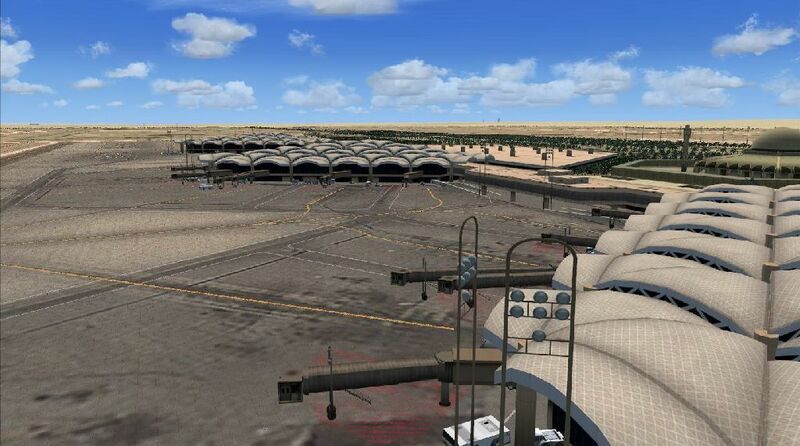 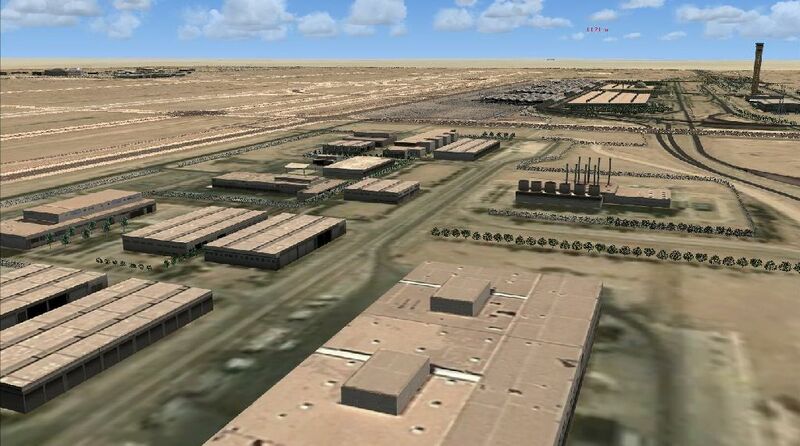 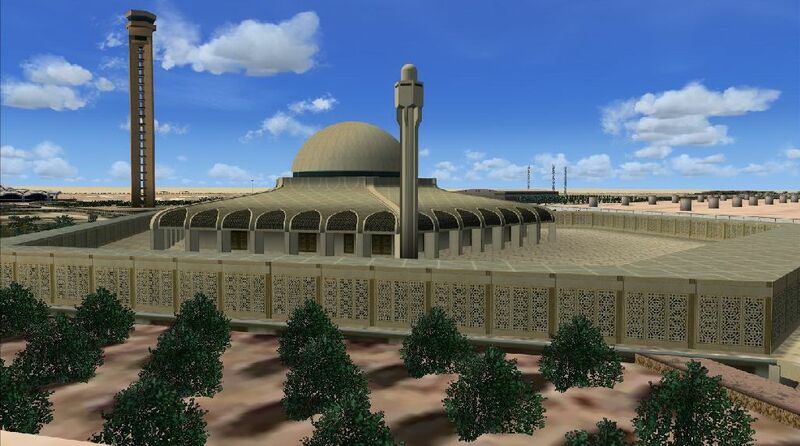 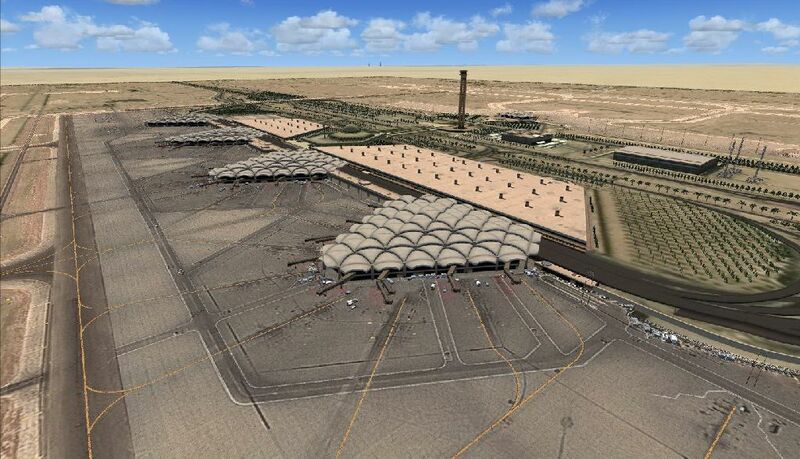 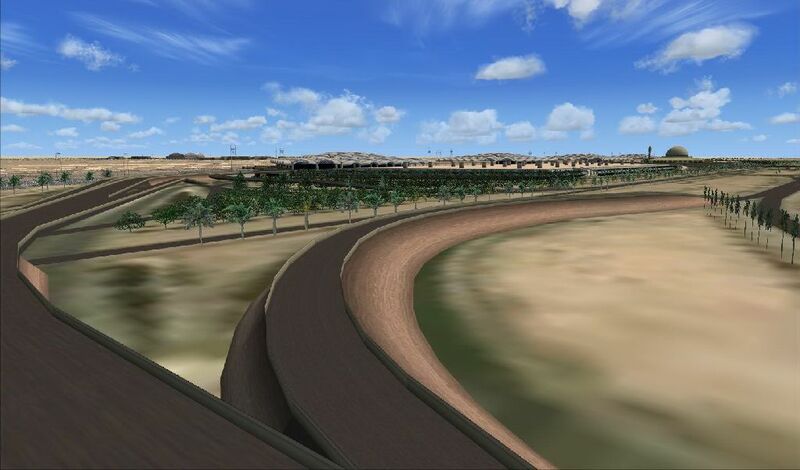 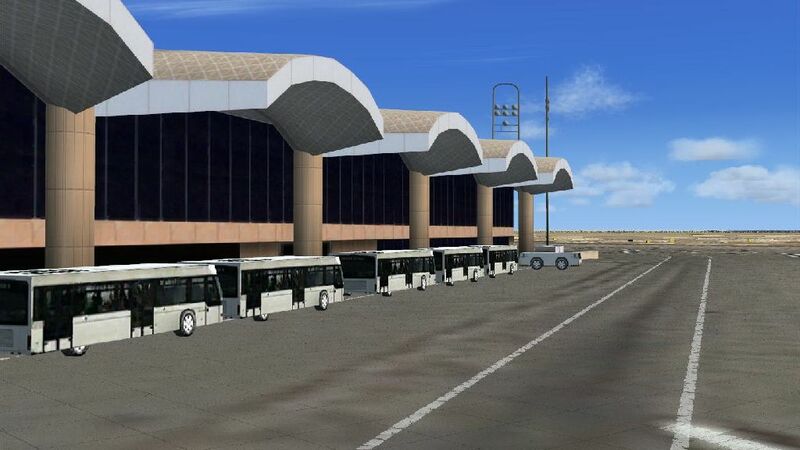 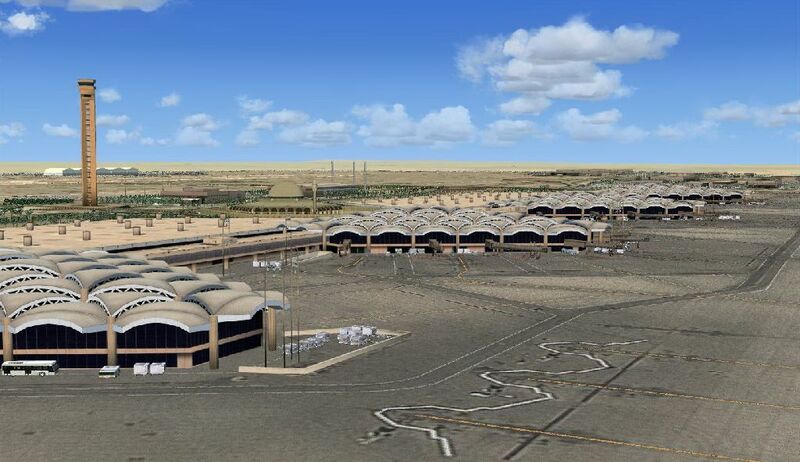 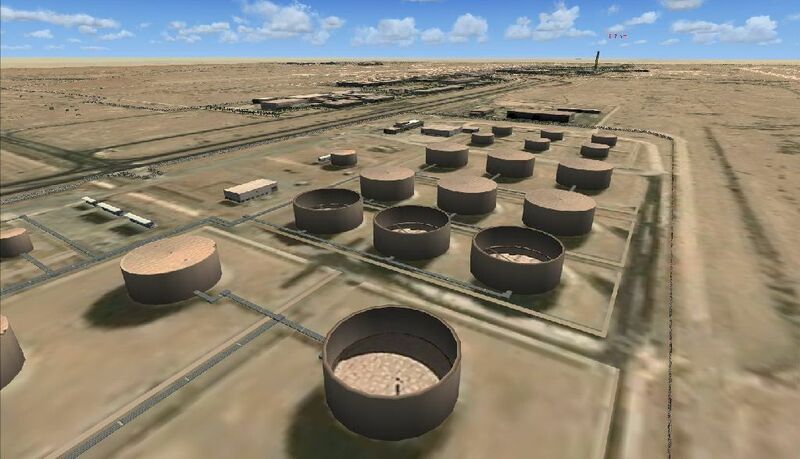 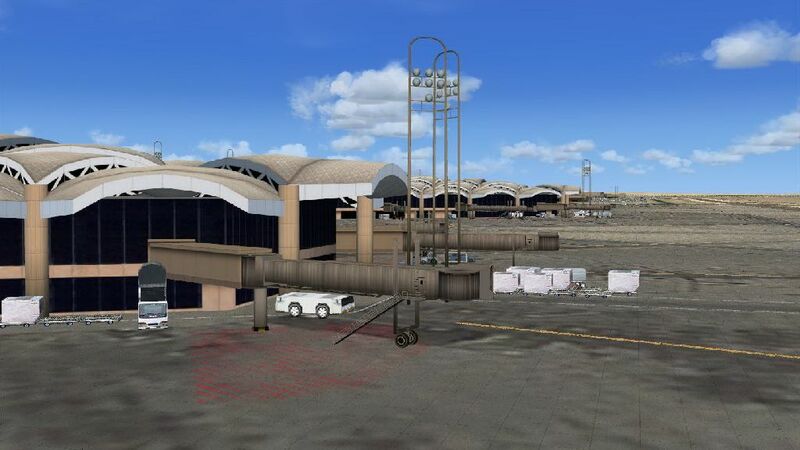 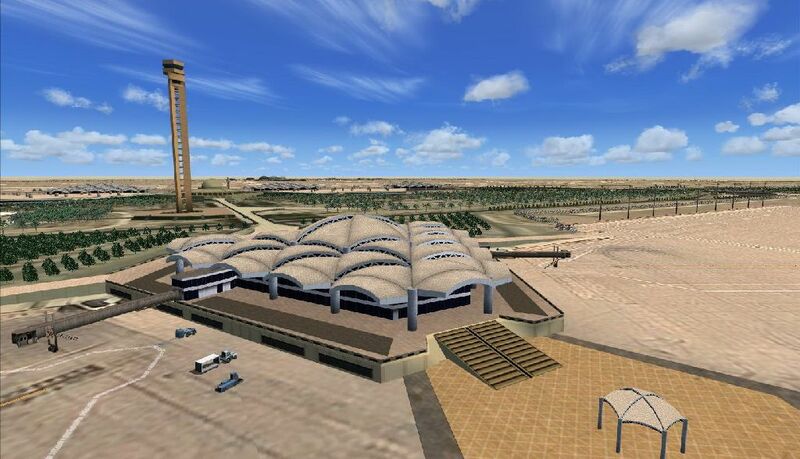 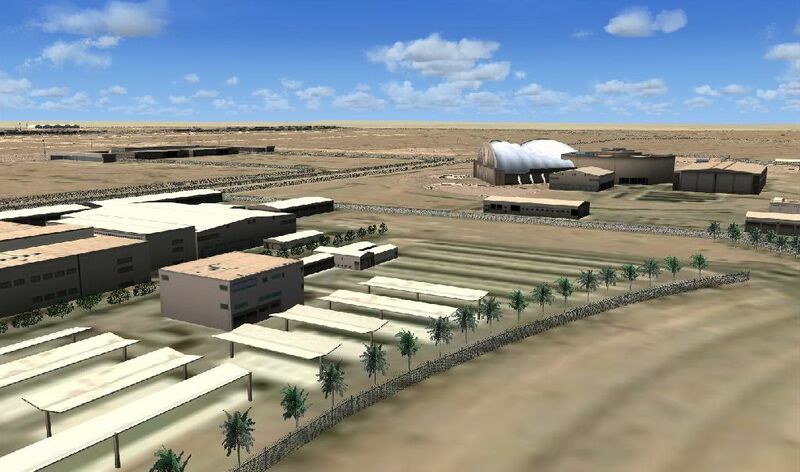 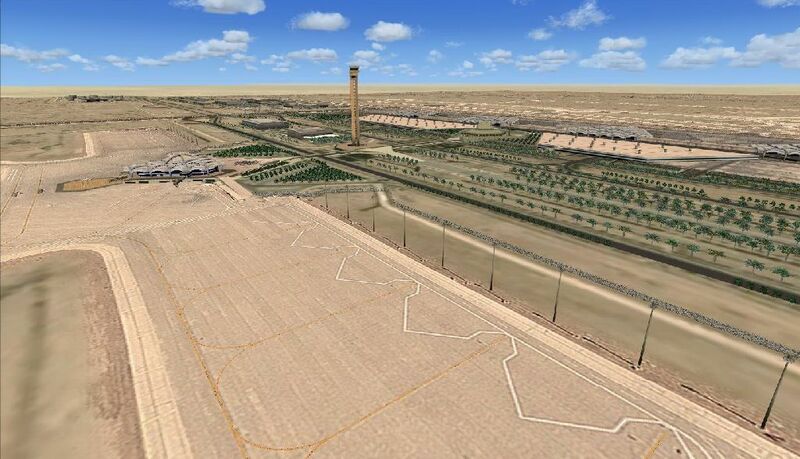 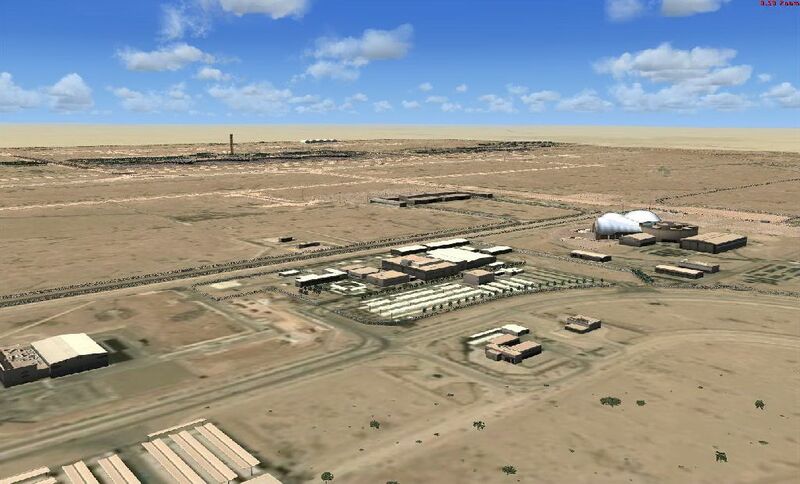 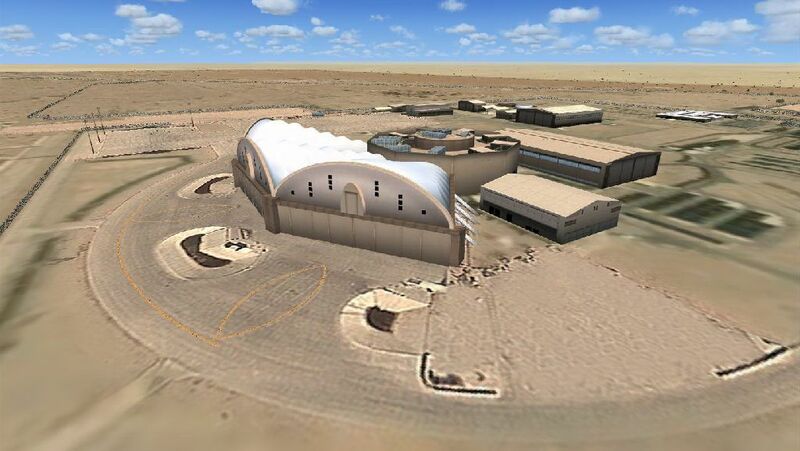 King Khalid International Airport (IATA: RUH, ICAO: OERK) is located 35 kilometres (22 mi) north of Riyadh, Saudi Arabia, designed by the architectural firm HOK, and Arabian Bechtel Company Limited served as the Construction Manager on behalf of the Saudi government. 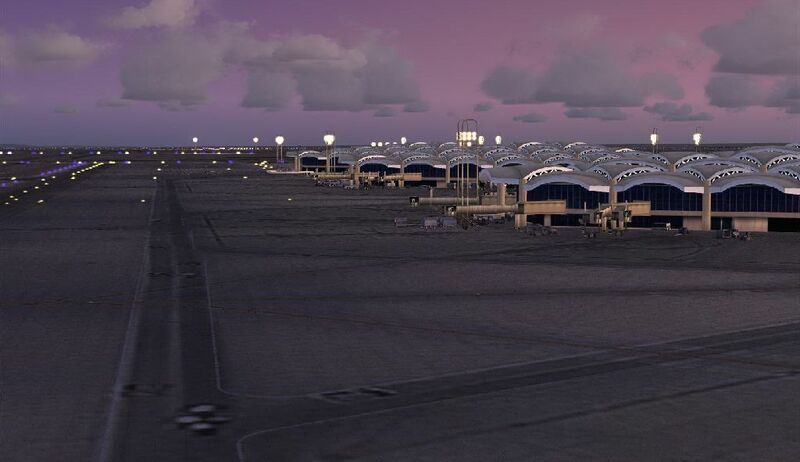 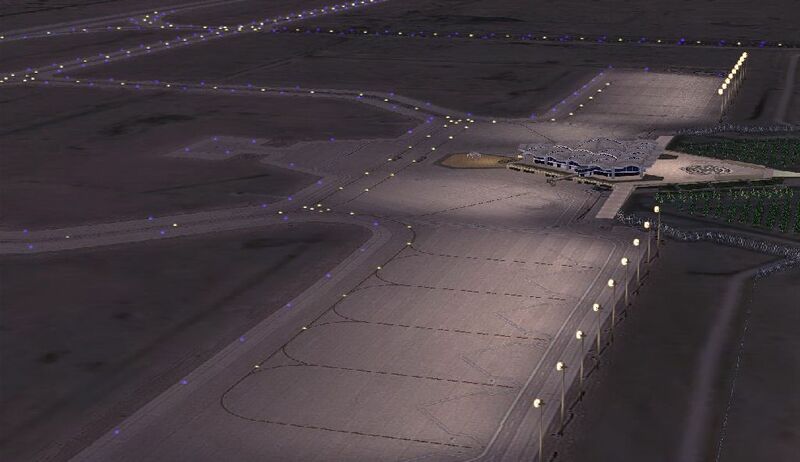 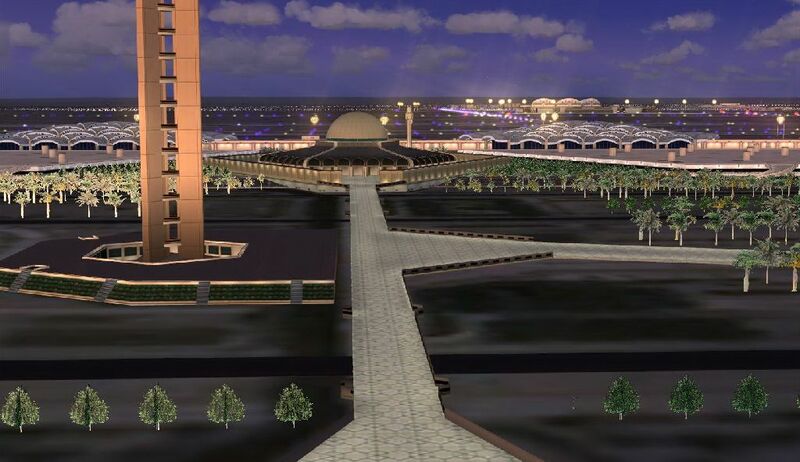 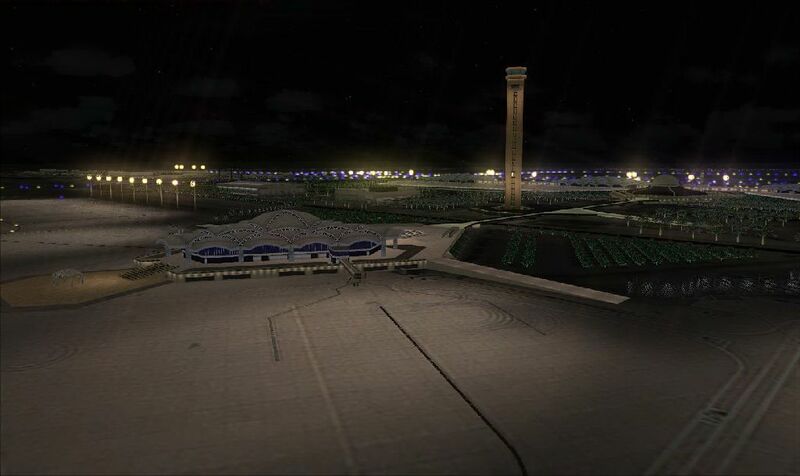 This airport consists of 4 passenger terminals (only three of which are in use) with eight aero-bridges each, a mosque, covered and uncovered parking for 11,600 vehicles, a Royal Terminal (for VIP's and Saudi Royal family use), a central control tower (one of the world's tallest), and two parallel runways, which are each 4,205 metres (13,796 ft) long. 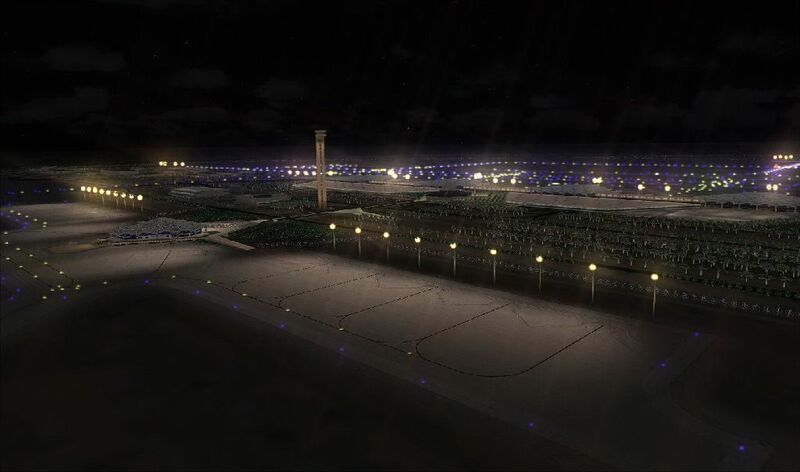 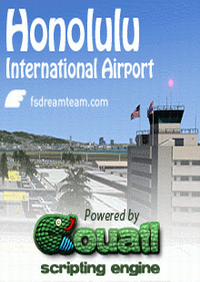 The land area allocated for this airport is among the largest in the world. 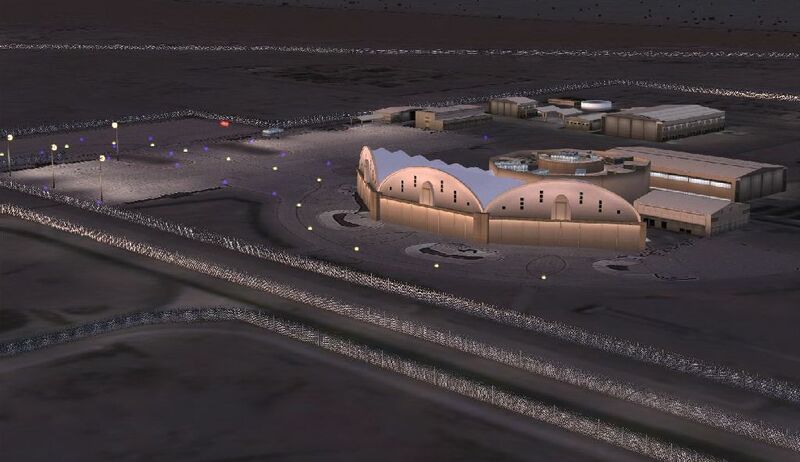 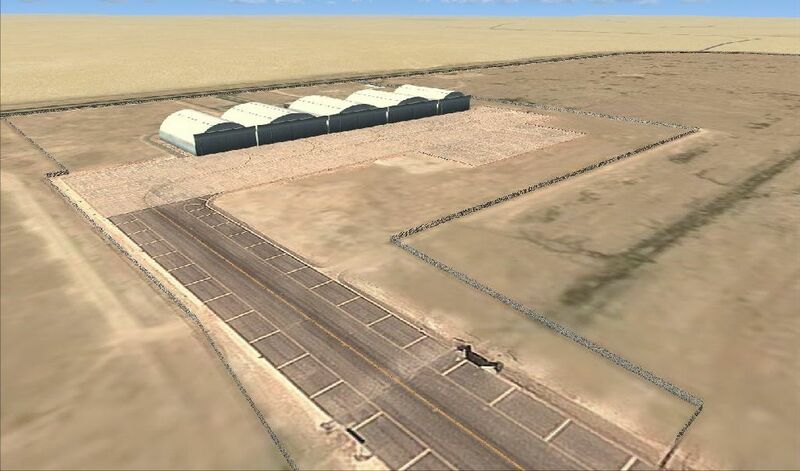 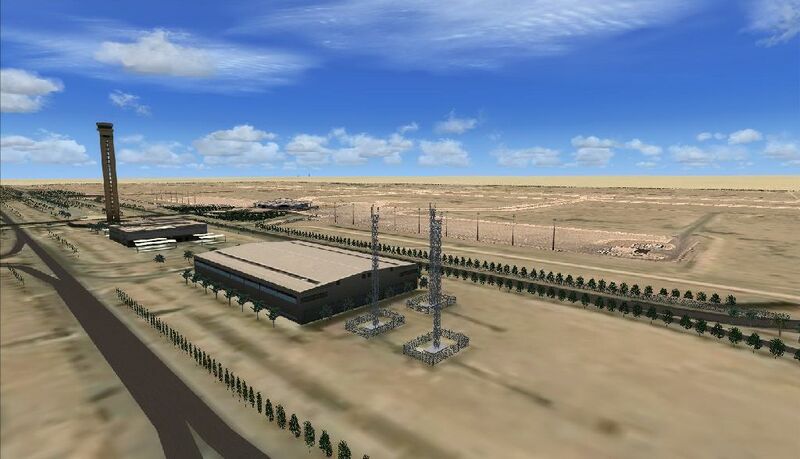 In addition to the airport support buildings, there are air operations building, facility buildings, General Aviation and Special Flight Service Complex. 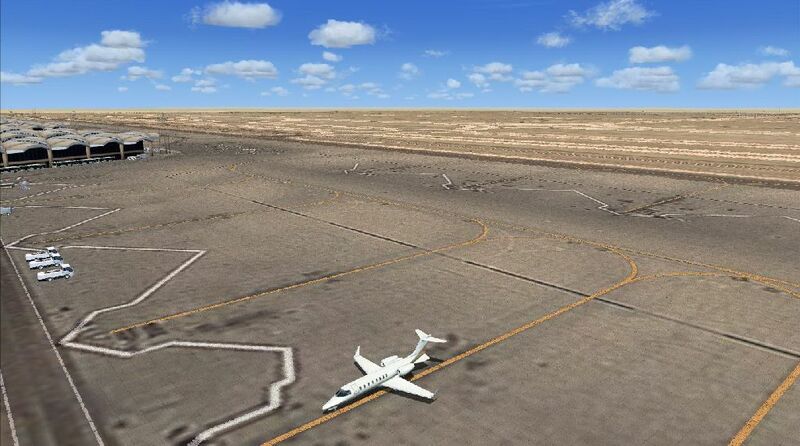 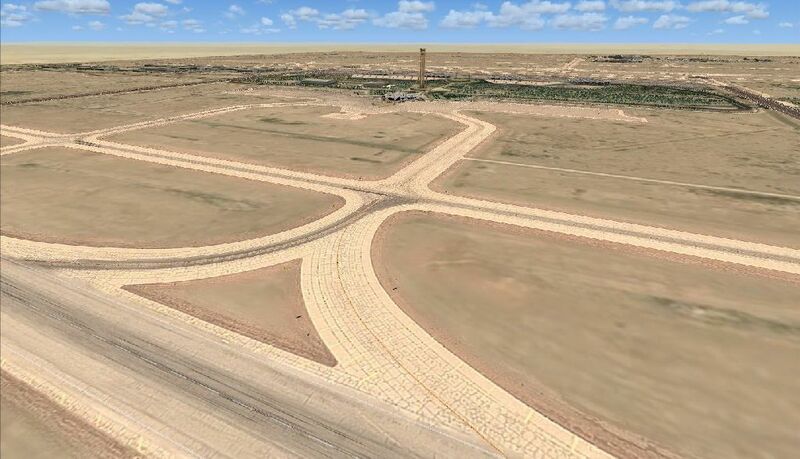 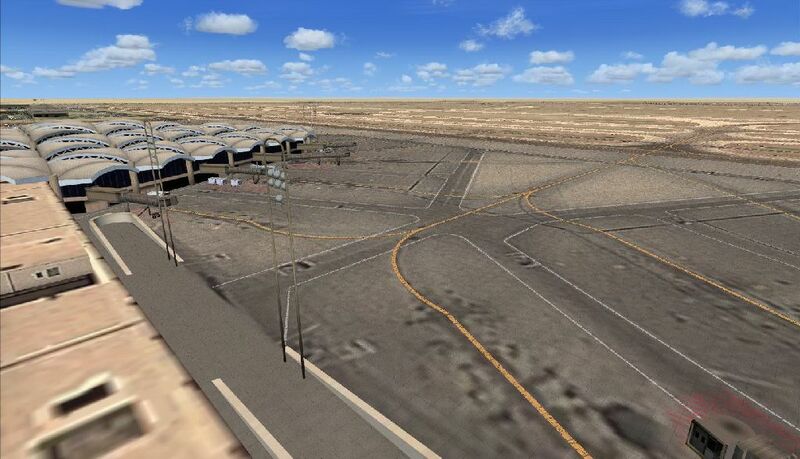  The airport also includes taxiways, an airfield, road system. 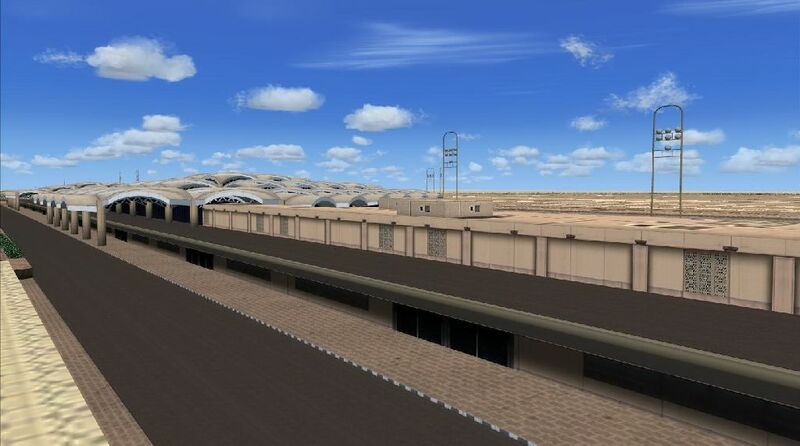 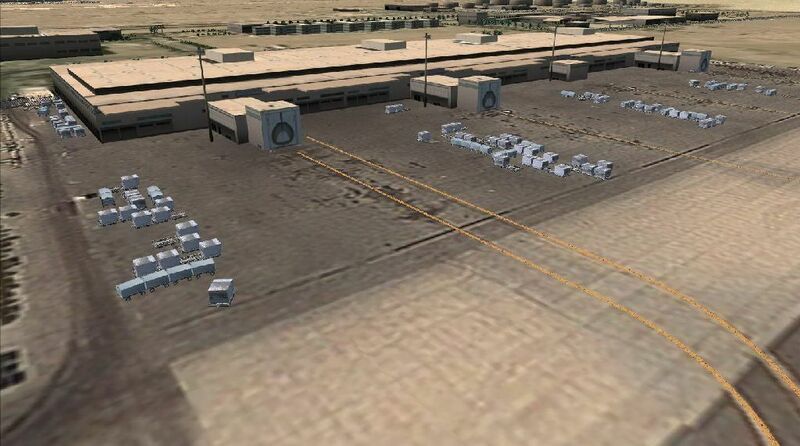 Surrounding area including cargo building , Tank farm , military hangar ,maintenance hangar , Catering and Central Kitchen , etc.. 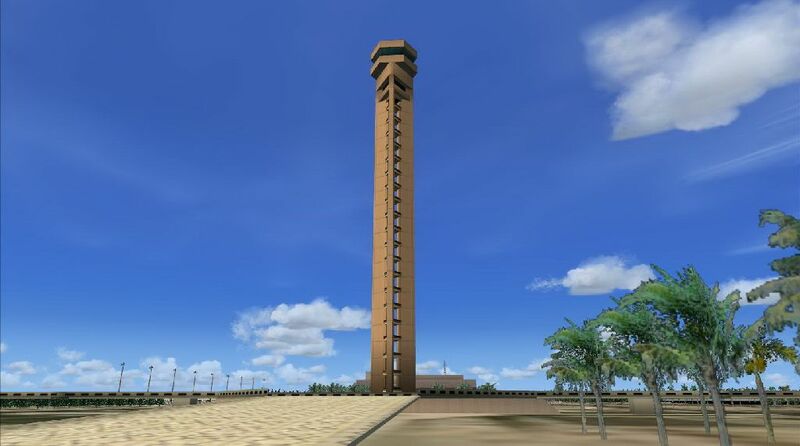 Sorry, but only 1 star for this one. 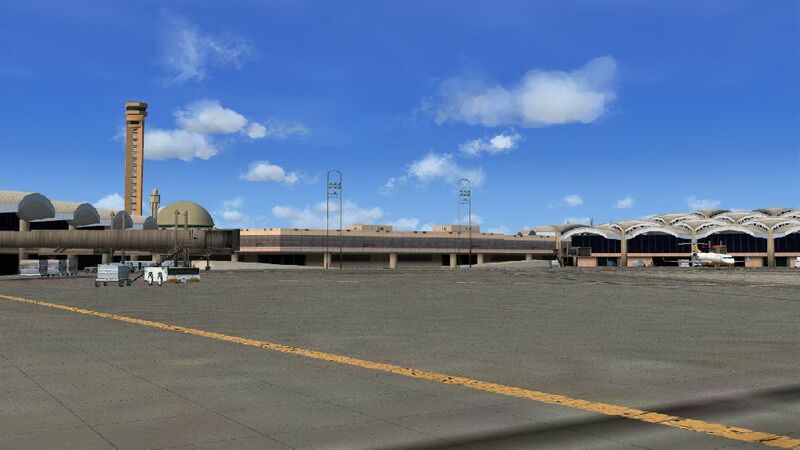 The ground textures are horrible and the building textures aren't much better. 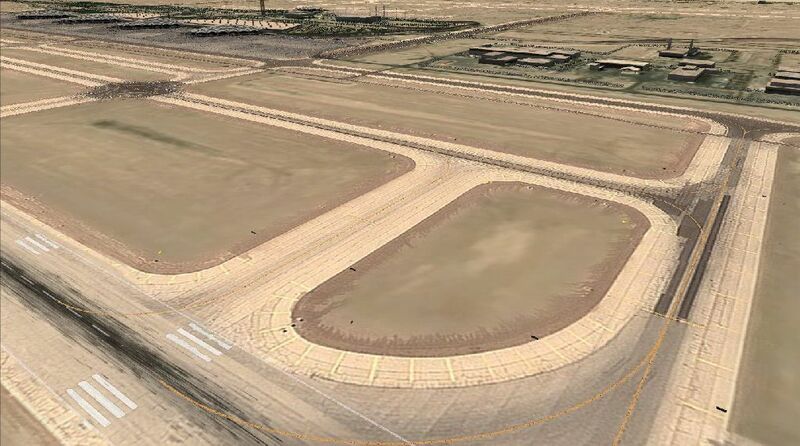 The taxiways must be labelled as "dirt" because the aircraft tires are kicking up dirt on every taxiway. 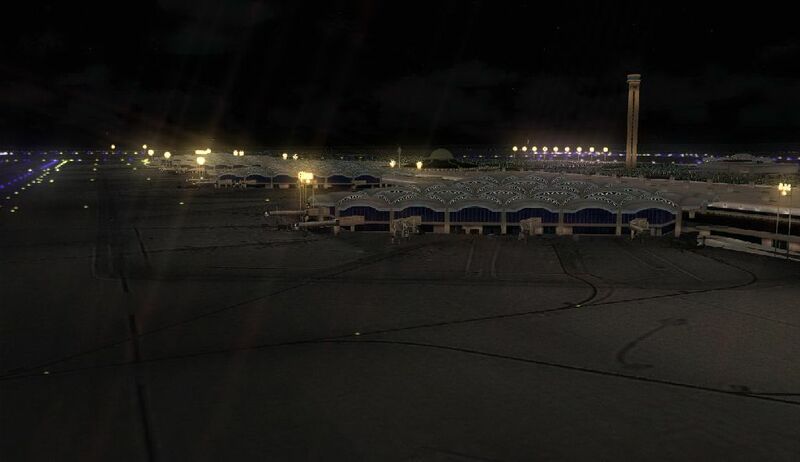 Just feels like this was rushed or something. 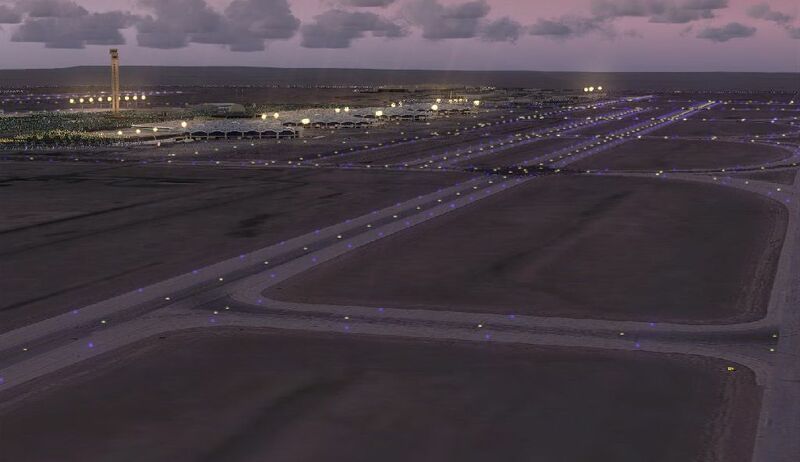 Pretty poor quality considering the work done on VTBS by this group. 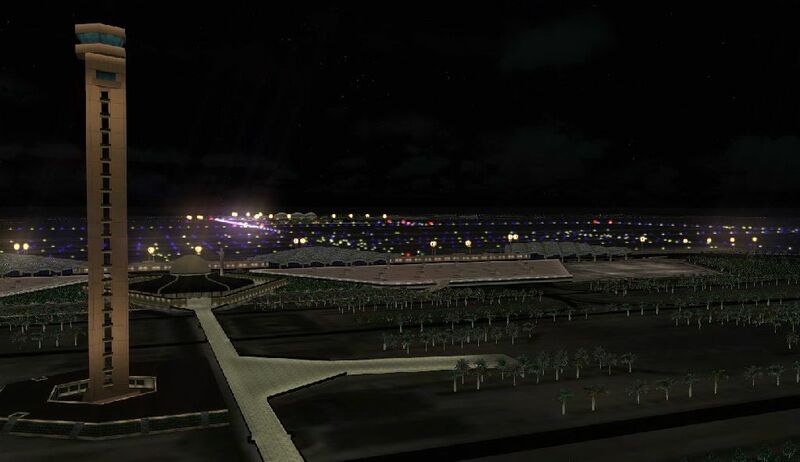 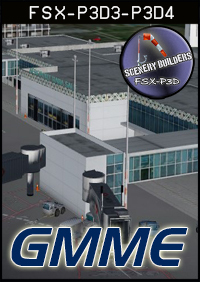 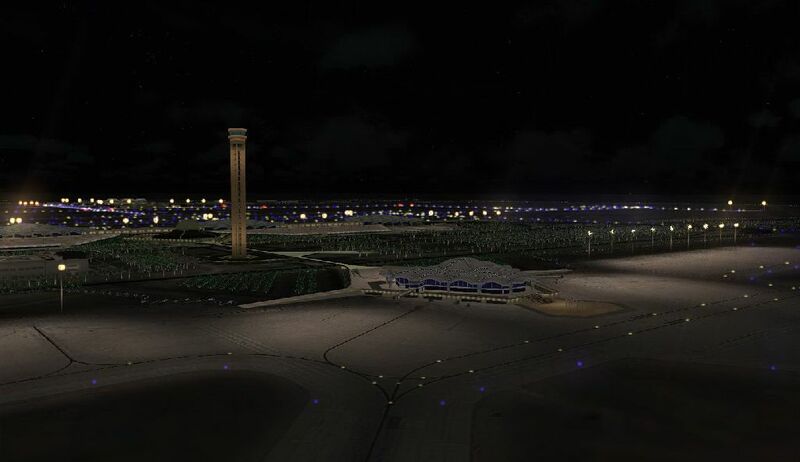 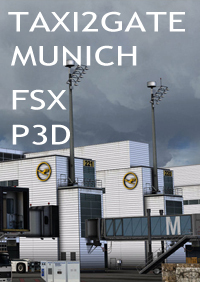 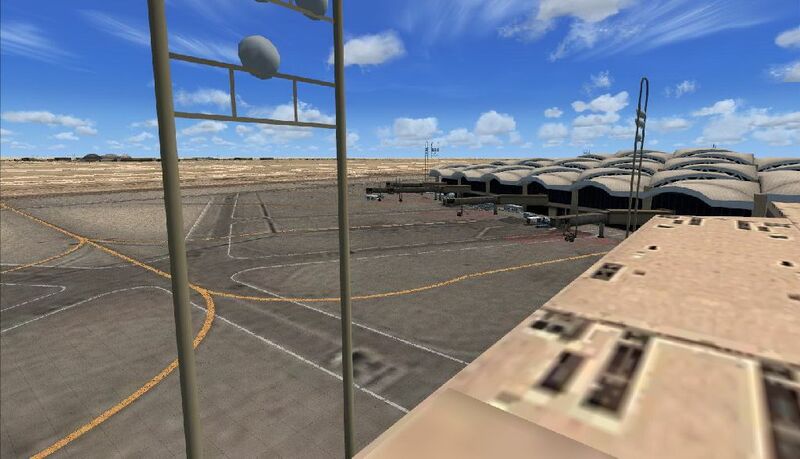 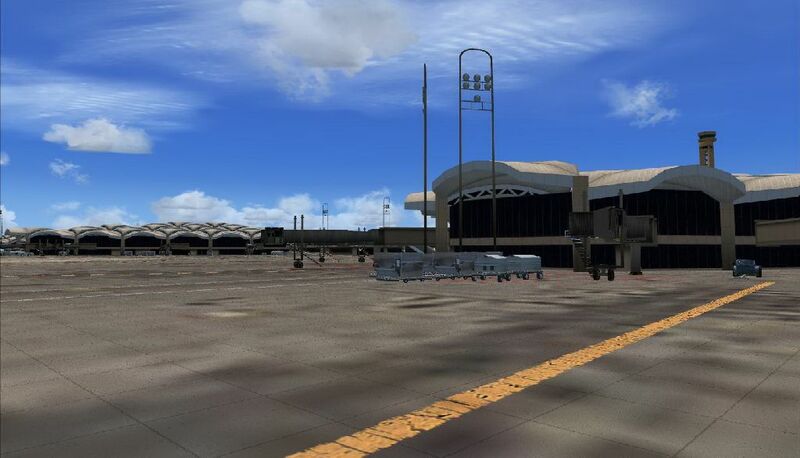 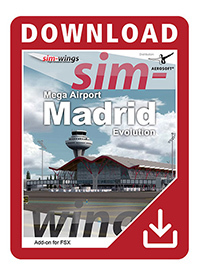 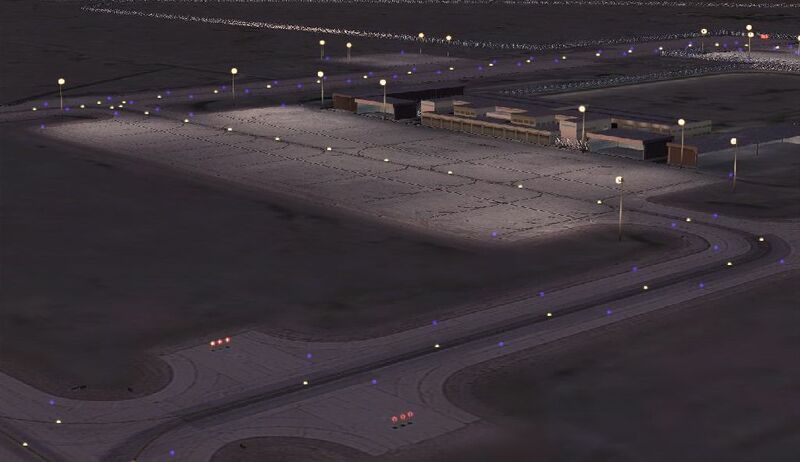 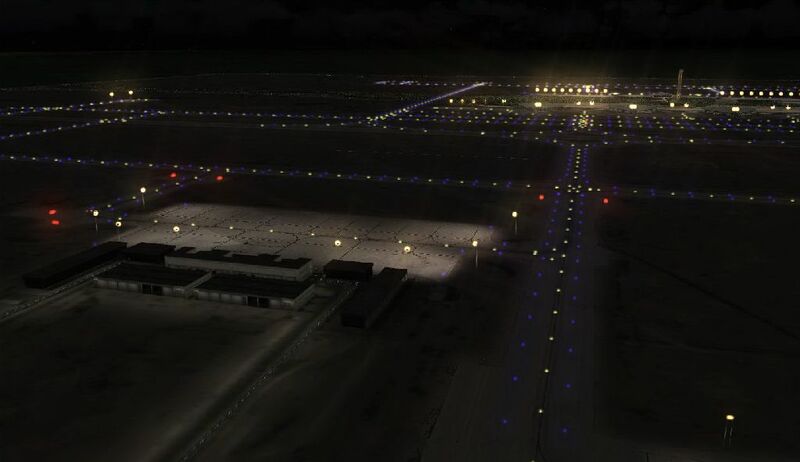 The quality of the graphics is not very good (well not using DX10) lots of shimmering and a night the airport lights keep flashing on and off, as this is the only FSX version no alternative but to use it.